I keep finding new things at the Kroger store. They’ve recently done an overhaul of their aisles and nothing is where it used to be. I heard a rumor that they were wanting to make the layout uniform nation-wide but I can’t confirm that myself. 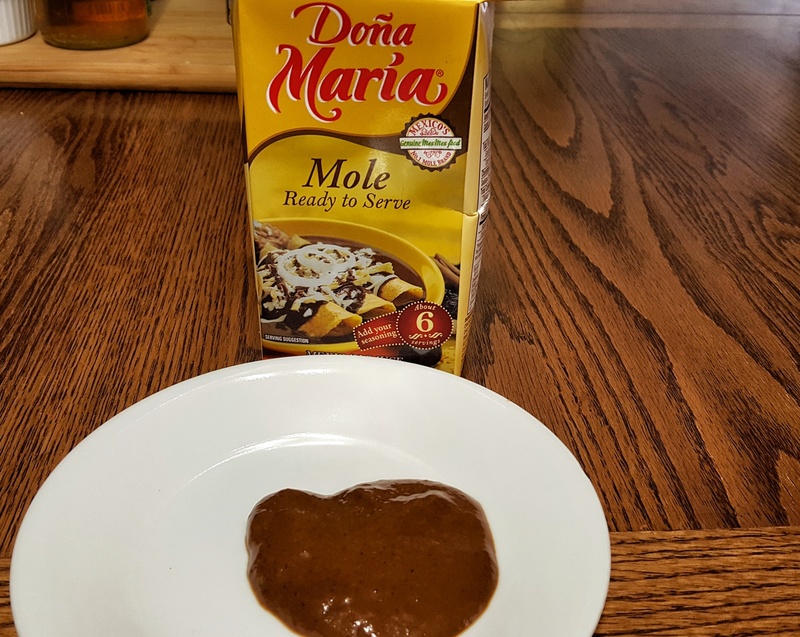 This mole was new to me. It, like the tapatio hot sauce I posted on this morning, is pretty good stuff. I’m happy to see them expanding their selection of southwestern if not south-of-the-border staples.